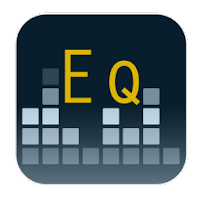 Latest addition to my list of Favorite Android Apps is Equalizer, a great tool for adjusting sound frequencies and effects on Gingerbread (version 2.3) and later versions of Android. Netbook computers are a great idea – portables with good battery life and real keyboards that are less expensive, smaller and lighter than typical notebook/laptop computers, but up to now they have been flawed by poor performance (processor and graphics), small low-resolution glossy screens that are hard to read in bad lighting, poor keyboards, limited RAM memory, and lackluster design. It's no wonder that tablets like the Apple iPad have been giving them a run for their money. But now that's changing thanks to a new breed of netbooks powered by AMD Fusion APUs, which feature CPU and GPU on a single chip resulting in good performance with relatively low power consumption (good battery life). Fit and finish is very good, case not rubberized like ThinkPad T-series, but still a nice matte black. Machine itself is quite light, with much of the total weight in the battery. Keyboard is very good, with nice key travel, albeit not quite as rigid as older ThinkPad T-series. Both TouchPad and TrackPoint provide excellent response and accuracy. 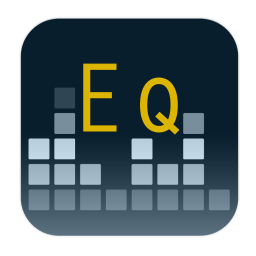 Single headset (smartphone-type TRRS) socket instead of separate microphone and headphone sockets makes sense. Screen is sharp, on par with higher resolution ThinkPad T-series. Software (OS, utilities, Microsoft Word) is responsive and snappy, programs opening quickly and running cleanly, with little apparent difference versus a more powerful laptop, even when running more than one program at the same time. Video playback was smooth even at full screen when accelerated, although it was sometimes a little jerky when not accelerated. Did not test webcam, speakers or microphone. As compared to ThinkPad T-series, screen has lower contrast and less even backlighting. No ThinkLight or other keyboard illumination, a glaring (inexcusable) flaw. 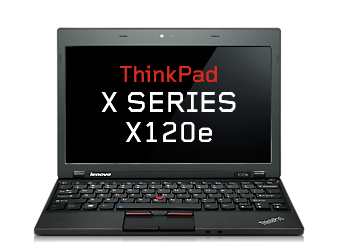 UPDATE: The X120e is being replaced by the X121e, which may make the X120e more affordable until supplies are gone.